The airbrush is a modeler's most trustworthy companion. We can even say that it represents our creative spirit and is a reflection of our personality. 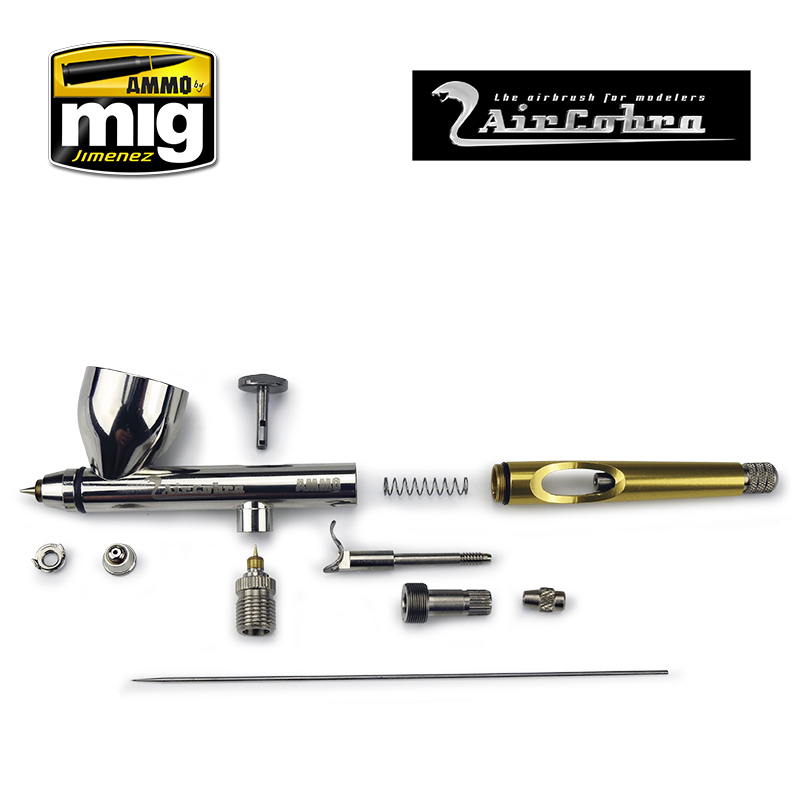 AMMO has taken every aspect into consideration when designing a new airbrush. Modelers require a design that is capable of lasting a lifetime, is durable and efficient, robust as well as light, and that guarantees maximum performance without sacrificing a stylish and refined look. 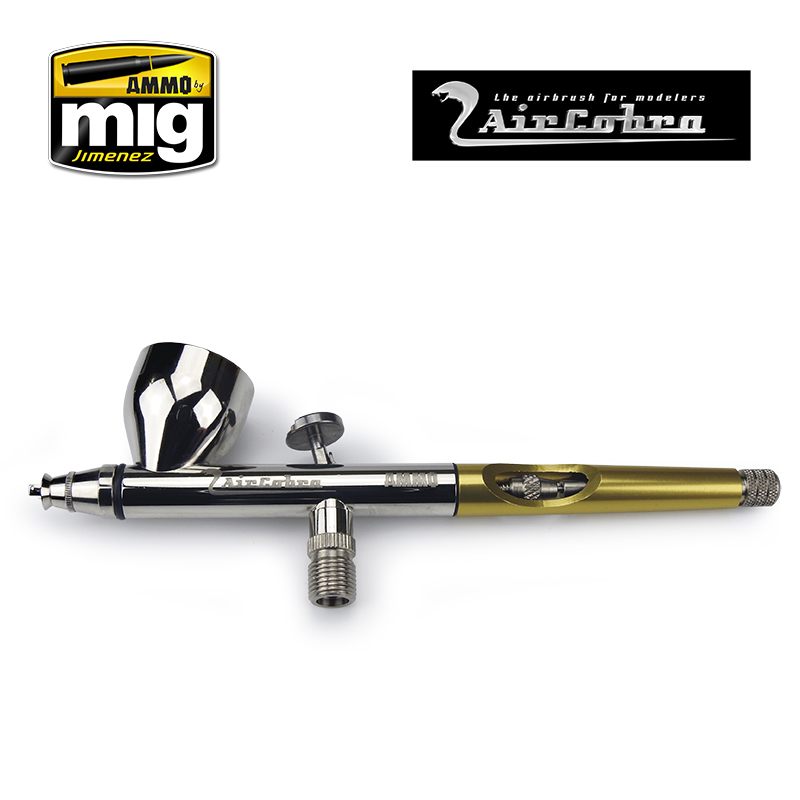 The need for these essential features is the origin of your new state-of-the-art airbrush, the AIRCOBRA. 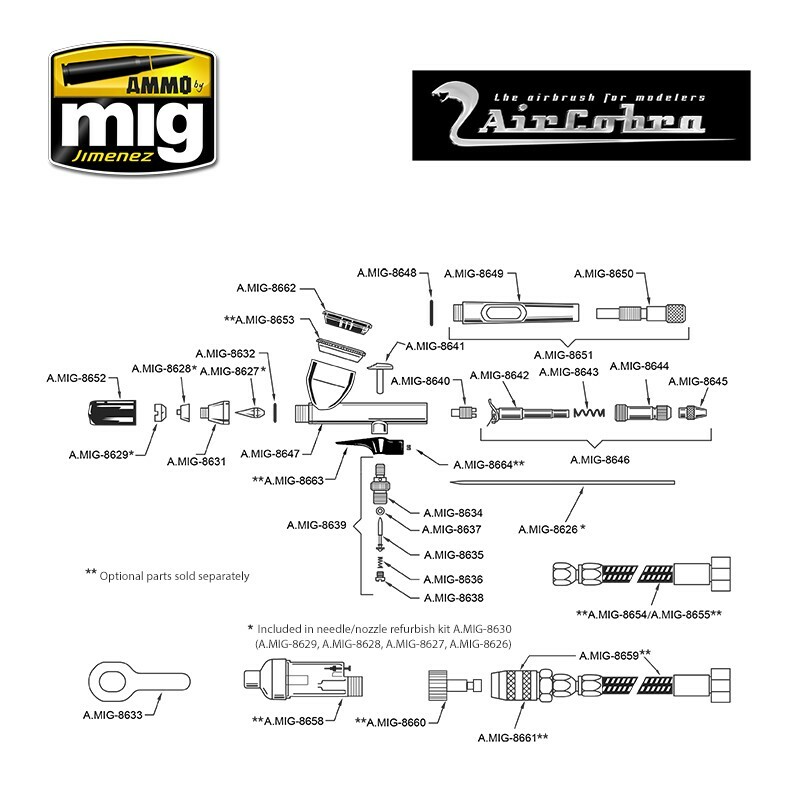 This model meets each of these critical requirements, making this the perfect tool for the discerning and demanding modeler. A refined and elegant piece of equipment with all the innovative advances of today’s airbrushes, allowing you to spray any type of paint with great control and precision. The AIRCOBRA is made in the USA with 100% American materials, like the mighty and formidable classic cars of the 1950’s and 60’s which captivated the imagination of the world. 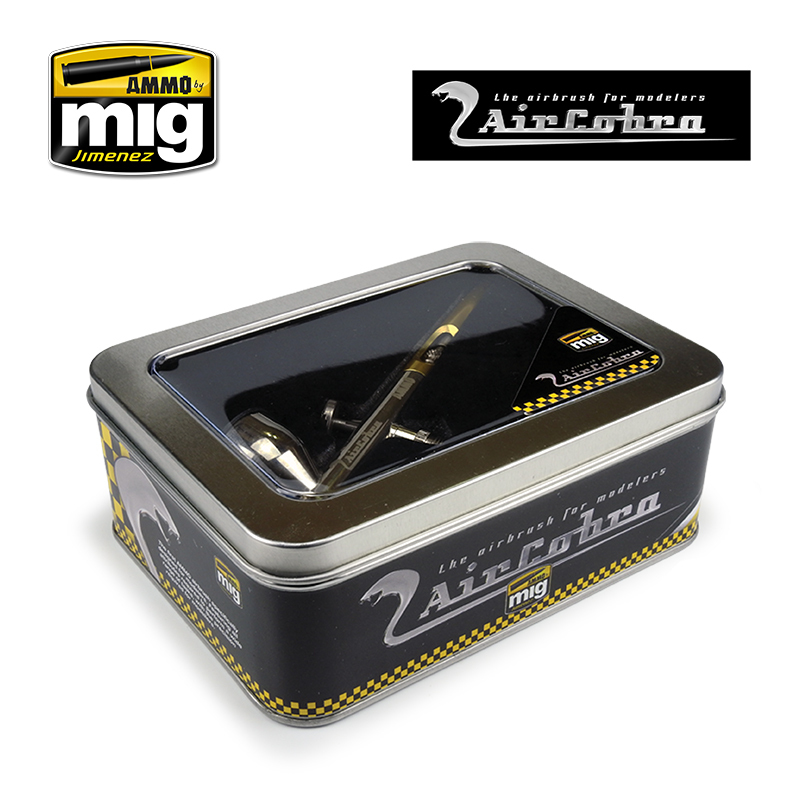 All of this in a package inspired by the aesthetics of the golden age of the 1980´s, when the word airbrush became synonymous with modernity among modelers and eventually emerged as a cultural icon of the hobby. We believe that the airbrush works of that decade represent the spirit of what today´s modelers strive for. AMMO aspires to go back to the roots of quality as well as finish and aesthetics, of a country that has always been a leading force in the airbrush world.